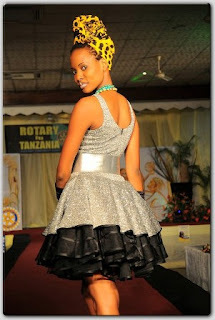 I just stumbled on an article about a TANZANIAN celebrity, Miss Universe Tanzania, Hellen Dausen. I was totally taken aback. I’m not into beauty pageants but wow this girl’s beautiful!! And to top it off, she’s natural! Very VERY rare to see in Tanzanian women who are in the spotlight. Waa waaaa!! What a way to respresent! Endelea shoga!